First-place team, B&L Pipeco Services. 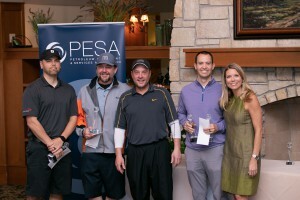 On March 7, PESA hosted its 20th Annual Explorers of Houston Golf Tournament. PESA Members and customers gathered at the Golf Club of Houston for a day of networking and cultivating relationships. 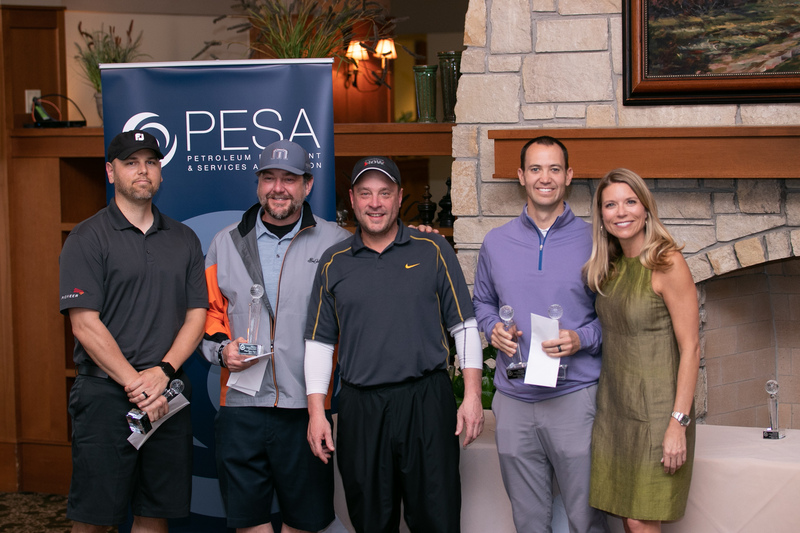 The event’s strong turnout demonstrates PESA Members’ dedication to STEM education, as tournament proceeds support PESA’s education initiatives, including contributions to the IPAA/PESA Petroleum Academies. PESA thanks tournament title sponsor Schlumberger as well as Baker Hughes, a GE company, DistributionNOW, Energy Alloys, Exterran, Gardner Denver, TechnipFMC, Weir Oil & Gas and World Oil for sponsoring this key event. We also thank all tournament participants for their support of PESA Explorers of Houston efforts in positively influencing the future leaders of the energy industry.